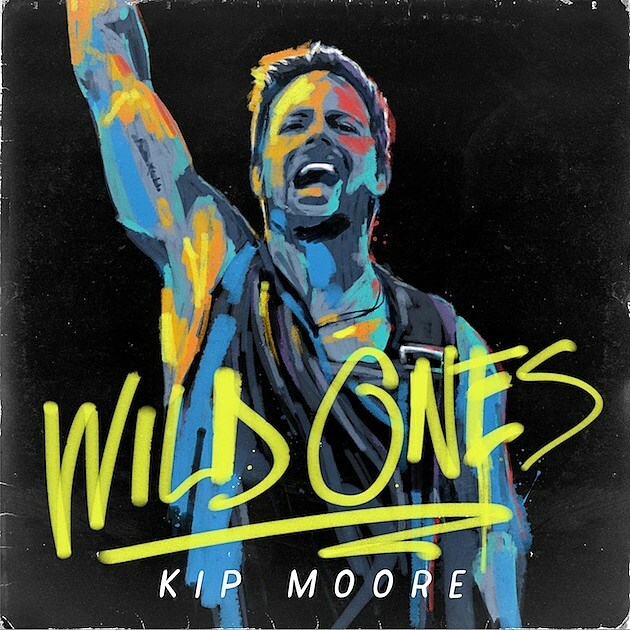 Country music star Kip Moore has recently set out on his headlining “Wild Ones” tour featuring Michael Ray and Chris Cavanaugh. This tour is in support of Moore’s most recent album release, “Wild Ones”. MusicMattersMagazine.com was lucky enough to get to witness this fantastic show in Columbus, OH at PromoWest’s LC Pavilion on 10/15/15. Chris Cavanaugh kicked off the night with a 20 minute solo-acoustic set featuring songs from his “Country As I Wanna Be” EP and his full length self titled album. One of the songs that Chris performed during his set was one that he and Kip Moore had co-written together titled “College Years”. Later on, during Michael Ray’s set, Michael would let the crowd know that it was Chris’ Birthday that night. Happy Birthday Chris! To find out more about Chris and his music, check out ChrisCavanaughMusic.com! Michael Ray has taken country music by storm this past summer with his hit single “Kiss You In The Morning” and the release of his self titled full length CD. Michael performed an energy filled 35 minute set which included his hit single. Michael’s smile onstage is as genuine as they come and it truly comes across that he is loving every minute of performing for the fans. Michael captivates the audience in many ways, whether it be a smile, a wave to the fans screaming in the first few rows, a finger pointing to the back row of the balcony or the amazing energy that he performs with as he works the stage from one side to the other. Michael’s cover of David Lee Murphy’s “Dust On The Bottle” made for a feel good, fun time for the crowd at the LC as many of the fans were dancing and singing along. Michael would close out his set with his newest top 40 and climbing single “Real Men Love Jesus”. Be sure to visit online at www.MichaelRayMusic.com! Now that the crowd was warmed up with a geat solo performance by Cavanaugh and a high intensity performance from Michael Ray, it was now time for the headliner responsible for this tour. With the release of his second studio album, “Wild Ones”, Kip Moore has taken on a headliner role with this most recent tour. Kip has been an opening act on major tours with artists like Lady Antebellum, Tim McGraw, and Dierks Bentley. It was a pleasure to be able to witness a Kip Moore show live for the first time and I must say this man is well deserving of his own headlining tour. Kip has a unique rawness to his voice that defines his style of country music all to its own. Wearing a cut off Ramones, T-Shirt, a backwards baseball cap, and blue jeans isn’t necessarily the definition of country but with songs like “Somethin’ Bout A Truck” and “Beer Money” combined with the onstage appearance of a bottle of Evan Williams screams country to me. You aren’t going to get Twang’d when you attend a Kip Moore show, You will be entertained and rocked for more than 90 minutes as Kip puts 100% into his performance. With such a uniqueness/rawness in Kip’s voice I was waiting to hear it crack or falter at least once during the show but it never did. There was also a perfect mesh between Kip’s vocals and the band’s sound that was pleasing to the listener during the live performance. There was a good mix of rocking energy as Kip performed with his band as well as moments of intimacy when Kip would take to a bar stool at center stage and slow things down, just he and his guitar as he would perform the ballad “Hey Pretty Girl” and a brand new song that was titled “Guitar Man”. Kip would perform many songs from his debut album “Up All Night” as well as his follow up album “Wild Ones”. Kip’s encore performance included his newly announced single “Running For You”. For more information on Kip Moore, be sure to check out KipMoore.net! Oct. 22 – Chicago, Ill.
Oct. 23 – Chicago, Ill.
Oct. 30 – Boston, Mass. Oct. 31 – Baltimore, Md. Nov. 5 – Knoxville, Tenn.
Nov. 13 – Orlando, Fla.
Nov. 14 – Ft. Myers, Fla.
Nov. 27 – N. Myrtle Beach, S.C.
Nov. 28 – Charlotte, N.C.
Dec. 3 – New York, N.Y.
Dec. 4 – Sayreville, N.J.
Dec. 5 – Richmond, Va. Previous Previous post: Dayton, OH local residents! Did you know K99.1 FM hosts free concerts just about every month! Check out who is coming to the area soon!